Let me start off by saying that I understand your potential concern. NASCAR is not the quickly-growing sport it used to be, and Nationwide Series races aren’t supremely well-attended. But really, give the NASCAR Nationwide Series a chance. ESPN has carried the torch proudly the last few years as the sole television provider for live Nationwide coverage. However, with the network loosening its grip and looking to gain the rights to only about half the series schedule, going forward there’s plenty of room for new networks to take up the task. That’s about 15 races, depending on how many events ESPN eventually takes; there’s a chance they won’t even bid on any at all. Only in the Nationwide Series can you see future stars like Kyle Larson racing against Cup veterans like Klye Busch. 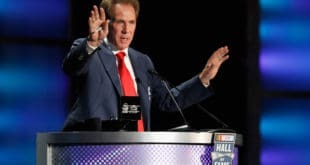 Look, I understand the Nationwide Series is not the star-studded field week in and week out that the sport’s top-tier circuit, the Sprint Cup Series, happens to be. That said, Nationwide tends to have an array of Cup drivers within its ranks each week, with a few exceptions every so often at standalone races. The star power is still there, I promise, and that does bring in a handful of curious Cup viewers. Speaking of standalone races: take it from a fan of the series for a decade and a half. 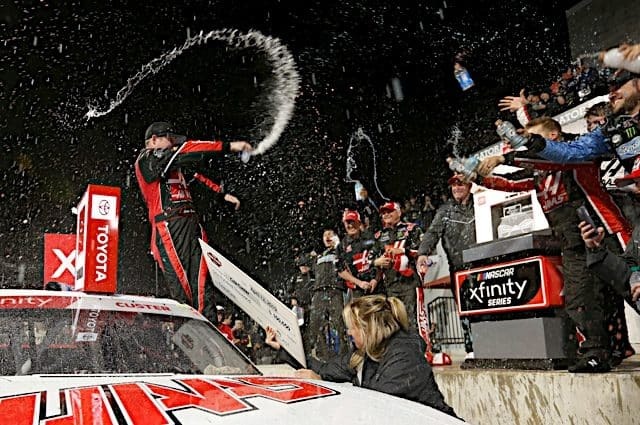 These events, without the impending presence of the Cup Series following it, are some of the most enjoyable of the season, with Nationwide regulars and potential up-and-comers duking it out for supremacy, often at some of the sport’s shorter race tracks. Attend one of these if you’re on the fence. You won’t regret it. 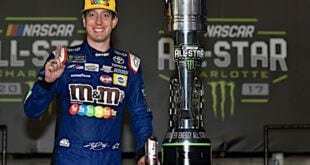 Most weeks, the series travels with the Cup Series (see: this weekend at Talladega) producing an entry list that includes established stars like Kyle Busch and Kevin Harvick competing amongst series regulars and future superstars. Kyle Larson. Austin Dillon. Alex Bowman. These are just a few of the many young drivers mixing it up with Cup regulars and some of the sport’s veterans, such as Elliott Sadler, Brian Vickers and Regan Smith. Oh, by the way. The majority of fans prefer some focus on all drivers in the series, not just the Cup guys. ESPN hasn’t done that very well. Keep that in mind, and the forums will be a-bumpin’. Another asset to the Nationwide Series is its placement during the week. Most of its races occur on lazy Saturday afternoons, keeping it out of the way of most major sports telecasts, at least until college football comes into play in the fall. That first day of the weekend is a prime time for rest and relaxation, to simply unwind from a tough work week. In terms of adding the NASCAR Nationwide Series to one’s programming on that day? It’s better than a rerun of a crappy, made-for-TV movie. You know, the one you keep showing. It’s time to cut that out. It may not be possible to begin a closer relationship with the series when you can only air about half the season in 2015, but think about the future. If ESPN ever drops the remainder of its schedule, perhaps you can nurture the identity of the series, helping to establish a circuit still below Cup in star power but still with its own identity. That’s, admittedly, been an issue with the Nationwide Series over the last few years. But even with all its problems, the Series still pulls over a 2.0 rating on certain weeks. That overshadows most Saturday afternoon options you’ll probably put on the air. Maybe the risk, in terms of production costs outweighs the foreseen benefits. Perhaps the less-than-stellar crowds and sizable gap between the series’ elite and low-budget organizations are major deterrents. Really though, at least give it a try. Do it right. Provide an entertaining broadcast. You might be surprised at the returns. – Dexter Stacey suffered a concussion last week in Richmond and will not compete at this weekend’s Aaron’s 312. He’ll be replaced by Tim Andrews, a longtime journeyman driver in the series who will be making his first start of the season, granted he makes the field. 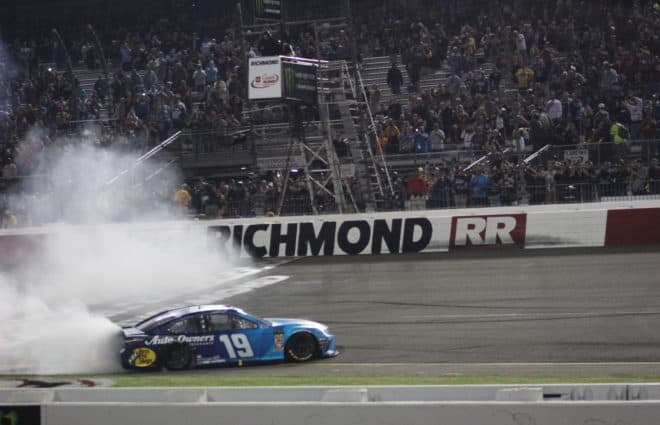 – Richard Childress Racing is appealing the suspension of two of its crew members, Michael Scearce and Thomas Costello, following an altercation and their subsequent arrest after last weekend’s Nationwide race in Richmond. 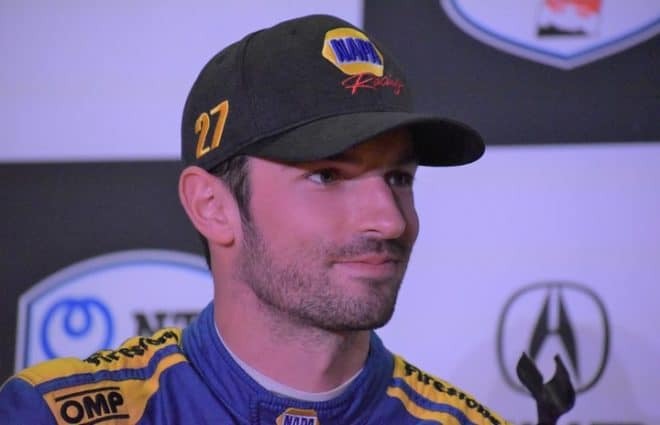 Scearce faces two misdemeanor assault charges, while Costello has been pegged with one such charge after a run-in with Nelson Piquet, Jr. in the driver/owner parking lot following Piquet’s post-race altercation with Childress driver Brian Scott. NASCAR has deferred the suspensions, pending the appeal, so both crewmen are permitted to work with the team this weekend. – Kyle Busch is out of the Nationwide Series for the first time this season. Instead of Rowdy in the familiar No. 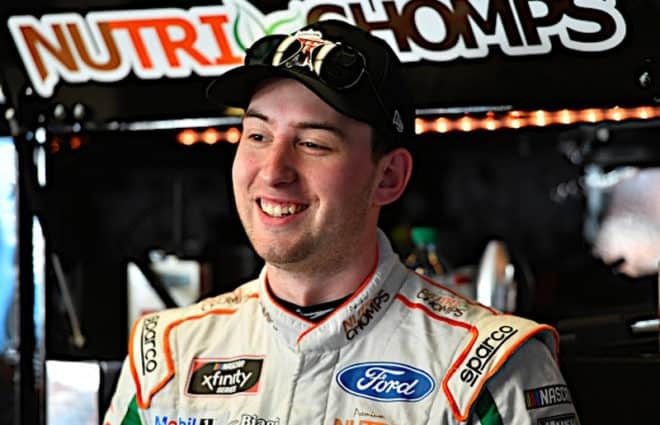 54 for Joe Gibbs Racing, Joey Coulter will make his Nationwide season debut in the car at Talladega, the first of three such races for the team in 2013. 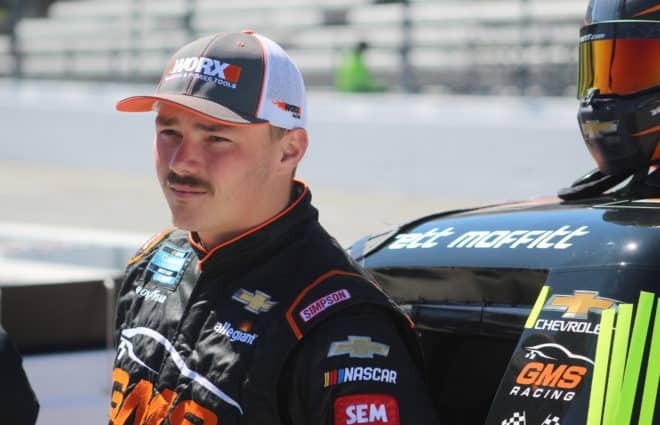 Coulter currently competes full-time for Busch’s program in the Camping World Truck Series. -While the Camping World Truck Series takes a break this weekend, Ty Dillon will make a stop in Nationwide at Talladega, piloting Richard Childress Racing’s No. 33 driven by a wide variety of drivers. Dillon will act as a teammate to brother Austin, who is currently competing for the Nationwide championship in the No. 3. WESCO will be Dillon’s primary sponsor while the young driver gears up for a limited Nationwide schedule. – Michael Annett originally hoped to return to Nationwide competition this weekend at Talladega, but unlike Cup’s Denny Hamlin, Annett’s injury is taking much longer to heal, and he won’t be in Richard Petty Motorsports’ No. 43. Annett suffered a broken sternum in the season-opening DRIVE4COPD 300 at Daytona, and has since been replaced by Aric Almirola and Reed Sorenson. The timeline now seems to be Memorial Day Weekend as a potential return date. 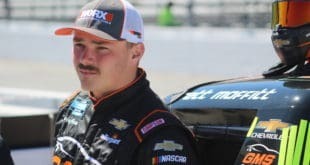 – Longtime ARCA competitor Chad Hackenbracht will make his NASCAR debut this season for Tristar Motorsports, driving the No. 44 that Hal Martin usually drives full time. The Ohio native plans to run seven races for the team, starting at Iowa in June, with hopes to run for the rookie title in 2014.